Dr. William A. Gardner’s postsecondary education: Certificate of Completion, 1961, Aircraft Radio Repair School, Keesler Air Force Base, Biloxi, MS; course work in Associate of Arts Program—Electronics, 1962-1964, Foothill College, Los Altos, CA; course work in Undergraduate Program—Electrical Engineering, 1964-1966, and Master of Science degree in Electrical Engineering, 1966-1967, Stanford University; graduate course work, 1968-1969, Massachusetts Institute of Technology and Bell Telephone Laboratories; Doctor of Philosophy in Electrical Engineering, 1969-1972, University of Massachusetts, Amherst. Professor (Emeritus) Gardner has been in the profession of statistical signal processing education, research and development for communications and reconnaissance since 1972 when he joined the faculty of the Department of Electrical and Computer Engineering, School of Engineering, University of California, Davis. The primary focus of his research and master’s/doctoral thesis advising at UCD was on the development of theory and methodology for cyclostationary signal processing. After rising through the ranks from assistant professor II to professor VII, he transitioned in 2001 to professor emeritus but continued operating his private research firm, Statistical Signal Processing, Inc (SSPI), founded in 1986, until 2011. The focus of research at SSPI also was on the development of signal processing algorithms for cyclostationary signals, primarily for application to radio reconnaissance and signals intelligence, but also including cellular communications and the sale of intellectual property (to Apple Computers Inc. and Lockheed Martin Corporation). Upon the firm’s 25th anniversary, Dr. Gardner dissolved the corporation but continued his research in statistical signal processing and further developed his collaboration with Professor Antonio Napolitano, University of Naples, Italy—who has made seminal contributions to the theory and methodology for extensions and generalizations of cyclostationarity. Their most recent joint contribution at the time of creation of this website is development of methodology for exploiting irregular statistical cyclicity in scientific data. Other activities since retirement from the university and industry include investigations into modeling electric current in cosmic plasma (the essence of future astrophysics) in voluntary support of the Thunderbolts Project, which is leading a revolutionary movement that is expected to create a new paradigm in astrophysics called the Electric Universe; modeling laboratory-confined/controlled plasma in voluntary support of the SAFIRE Project, which aims to better understand the physics of stars; and voluntary support of the fledgling Institute for Venture Science and International Science Foundation. Dr. Gardner began a five year collaboration in 2013 with the late Dr. James Ryder (retired Vice President of Lockheed Martin Space Systems Company and head of the Advanced Technology Center in Palo Alto CA—an R&D organization covering a diverse range of technologies including solar and space sciences) during which time Dr. Ryder founded the ISF and served as chairman of the board of both the ISF and IVS, founded by Professor Gerald Pollack of the University of Washington. The focus of their joint work was the role of electromagnetism in astrophysics and the plasma universe. Professor Gardner has authored three books, Introduction to Random Processes with Applications to Signals and Systems, Macmillan, 1985 (second edition, McGraw-Hill, 1989), Statistical Spectral Analysis: A Nonprobabilistic Theory, Prentice-Hall 1987, and The Random Processes Tutor: A Comprehensive Solutions Manual for Independent Study, McGraw-Hill, 1989 (Re-release, 2014). He is the editor of Cyclostationarity in Communications and Signal Processing, IEEE Press, 1994, and he is the author or co-author of chapters in four books. He is the inventor in thirteen patents, is the author of over 100 peer-reviewed research papers, and he has given many invited lectures at university and industrial research laboratories. Dr. Gardner received the international Best Paper of the Year award from the European Association for Signal Processing in 1986 for the paper, “The spectral correlation theory of cyclostationary time-series,” the 1987 Distinguished Engineering Alumnus Award from the University of Massachusetts, and the international Stephen O. Rice Prize Paper Award in the Field of Communication Theory from the IEEE Communications Society in 1988 for the paper entitled “Signal interception: A unifying theoretical framework for feature detection”. He was nominated for the 1998 IEEE Graduate Teaching Award and the 1999 IEEE Medal for Pioneering Contributions in Signal Processing. Professor Gardner was elected to Fellow grade in the institute of Electrical and Electronics Engineers in 1991 “For contributions to the development of time-series analysis and stochastic processes with applications to statistical signal processing and communication, and for contributions to engineering education.” He is a biographee in Who’s Who in the World and other biographical sources. Dr. Gardner has been principal investigator for over fifty research awards for theoretical work totaling in excess of $23 million between 1980 and 2010 from industry and from numerous federal research offices, including the Defense Advanced Research Projects Agency, the U. S. Office of Research and Development, the National Security Agency, the National Reconnaissance Office, the National Science Foundation, the Office of Naval Research, the Air Force Office of Scientific Research, the Army Research Office, the U.S. Army Communications Electronics Command Center, the U. S. Space and Naval Warfare Systems Command, the USAF Rome Laboratory, the USAF Wright Laboratory, the Republic of Singapore Center for Strategic Infocomm Technologies, Swiss Army TEMPEST/EMSEC Research Program, and the French National Institute of Applied Sciences. 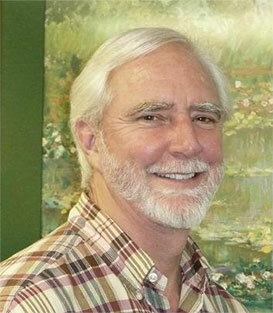 Dr. Gardner is considered to be the father of and (as of the time of initial posting of this website, 2018) the world’s leading authority on the theory and application of cyclostationary signals, and he organized and chaired the first international Workshop on Cyclostationary Signals (in 1992) invited by the National Science Foundation and cosponsored by NSF and the Offices of Research of the U. S. Army, Navy and Air Force. Dr. Gardner has been Principal Investigator on several programs to develop advanced signal processing technology for cellular communications. After transitioning to Professor Emeritus in 2001, Dr. Gardner increased his employment with Statistical Signal Processing, Inc (SSPI), which he founded 15 years earlier, from part time to full time for 10 more years. SSPI, a theoretical research and algorithms development firm, employed many of Dr. Gardner’s current and previous graduate students, supporting their thesis research and postdoctoral work. From 2011 to 2013, Dr. Gardner was with Lockheed Martin Space Systems Company’s Advanced Technology Center as Research Scientist Senior Principal, assisting with the transition of research contracts from SSPI to LMC. Dr. Gardner expects his latest research publication, “Statistically Inferred Time Warping: Extending the Cyclostationarity Paradigm from Regular to Irregular Statistical Cyclicity in Scientific Data”, to appear late-2018, to be his last publication in a research journal. Any new research results that he might produce are expected to be communicated exclusively on this website. Most of Dr. Gardner’s research from 2000 to 2013 has not been published in the open literature because of its proprietary nature and in some cases its sensitive nature from a national security perspective. That work, despite its relevance to cyclostationarity, will not appear on this website in the foreseeable future. His work in astrophysics from 2013 to 2018 has not been published due to its nascent nature. But notes on this work may begin to appear on this website by 2019. In addition, unpublished past work on radio-frequency source location and imaging may begin to appear on this website by 2019.